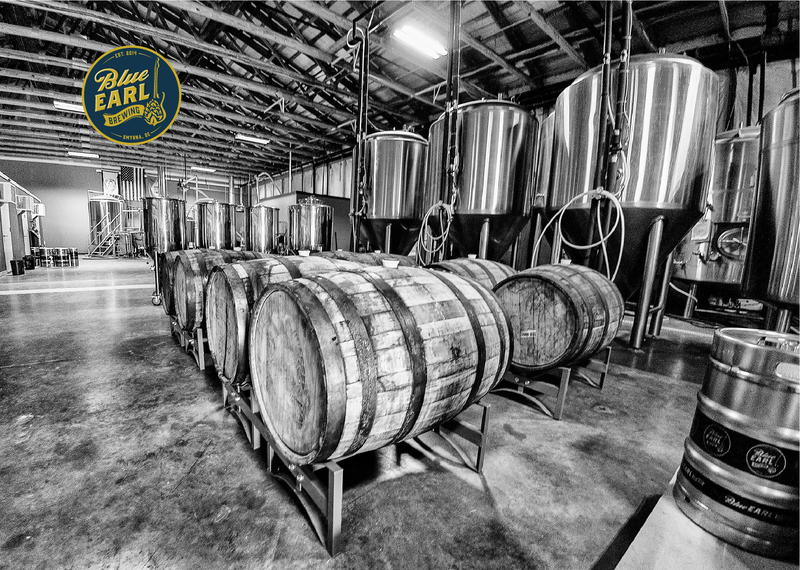 Blue Earl Brewery tours are available on the first Saturday of every month at 1pm and 3pm. The tour gives beer curious guests the behind the scenes look at how Blue Earl beer is made, and story behind the success of the brewery. Tours are directed by the founder and brewmaster Ronnie “Earl” Price. The tour lasts approximately 40 minutes. Each tour is limited to 25 guests and you must be 21+ years of age with a valid ID. Tours are $10/person and include samples and a souvenir. *Call ahead for reservations. Spots are not guaranteed for late arrivals.